The best design is one that unites form and function, and a go-to interior designer’s tactic is to incorporate mirrors into their design. There are many unique styles and different shapes of mirrors that exist at discount prices and can be easily found at luxury outlet furniture stores. You’ll have many options to choose to fit your function and aesthetic! When you add mirrors to a room, you can play with lighting, spatial dimension, and point of view. Mirrors can add any of these elements to a home depending on where you place them. Create Light. The highly reflective surface of a mirror plays great with light. Whether natural or indoor lighting, a mirror will reflect and bounce light throughout a room. A large mirror within an ornate frame from a fine furniture outlet store will add drama as well as create this play on light. You might want to hang one across from a window or as a backdrop to a floor lamp; both positions will capture and reflect the light. Using mirrors to bounce light is a clever way to add brightness to a room and play with the effects of lighting. Add Space. If you have a small space like a hallway corner or powder room, installing a beautiful, smooth-edged oval mirror will create an illusion of more depth. The smaller size of the mirror will pull the eye toward it and offer a deeper perspective of the room reflected – making it seem like the walls are expanded outward. 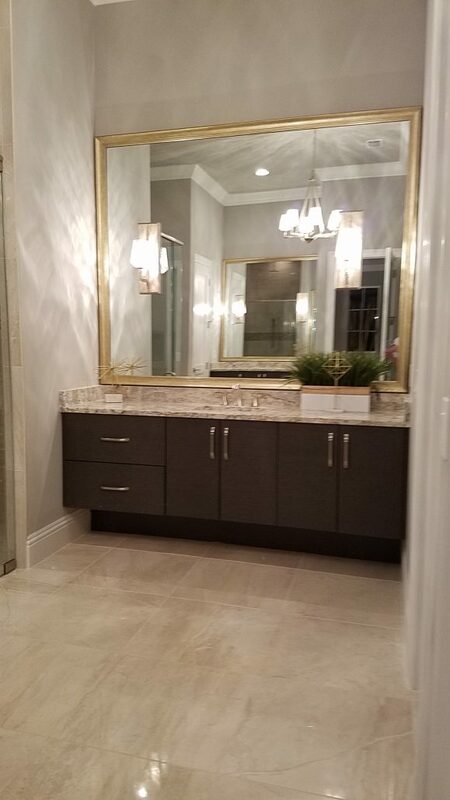 A smooth-edged, modern framed mirror can be easily found at a luxury furniture outlet, and you will lengthen your hallway or enlarge your powder room with just a quick install. Expand Point of View. There are a few places where a mirror might be a good addition to a room’s function. If you hang a simple mirror by the entryway, you have a spot for a quick check of your appearance before leaving the house. Another unusual place for a mirror is the kitchen. Almost like a rearview mirror in a car, a small, decorative piece from a used furniture store would give you a new vantage point while working in the kitchen. Whether monitoring children or glancing to see who’s around you while prepping meals or doing dishes, you get the stylish advantage of a pair of eyes behind your head. So, when you want to add decoration to your home, don’t automatically look for artwork. Consider the beauty and advantages that come with a well-placed, fine mirror bought at a discount price from a luxury furniture outlet. Find your designer mirror at Right@Home Luxury Furniture Outlet in Altamonte Springs, FL. Many sizes and styles of mirrors exist at low costs. We can even work with you to match your style to a function and pair your ideas with manufacturers that make those types of pieces. Visit us at 520 W. SR 436, Altamonte Springs, FL seven days a week to pick out the right mirror for your home.